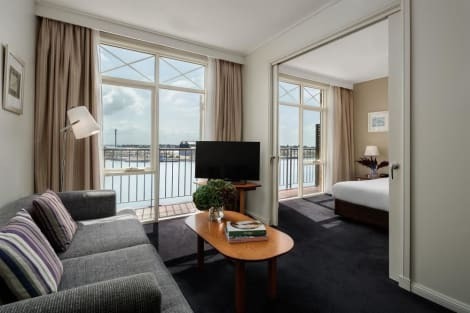 When you stay at Rydges Newcastle (formerly Crowne Plaza Newcastle) in Newcastle, you'll be on the waterfront, a 4-minute drive from Nobbys Head Beach and 8 minutes from Merewether Beach. 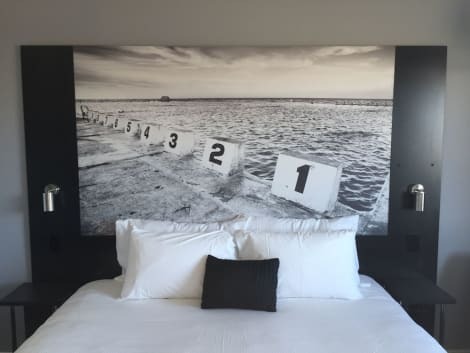 This 4.5-star hotel is 9.7 mi (15.6 km) from Lake Macquarie and 1.8 mi (2.9 km) from Newcastle Beach. Make yourself at home in one of the 95 air-conditioned rooms featuring iPod docking stations and minibars. Your pillowtop bed comes with Egyptian cotton sheets. Wireless Internet access (surcharge) keeps you connected, and cable programming is available for your entertainment. Private bathrooms with showers feature complimentary toiletries and hair dryers. lastminute.com has a fantastic range of hotels in Newcastle, with everything from cheap hotels to luxurious five star accommodation available. We like to live up to our last minute name so remember you can book any one of our excellent Newcastle hotels up until midnight and stay the same night.